So is it possible the Zero funds are producing inferior returns compared to Vanguard? It is tough for an index fund to make up for a difference in performance of 0.10% of their underlying index. The zero fund actually outperformed its index by 0.05%. Time will tell whether that was luck or good management by Fidelity. Looks like a mixed bag to me. The difference is in the noise. Not a mixed bag. VT pretty consistently out performs by millimeters. It doesn't add up to much, of course, but perhaps all those who bolted to Fidelity to gain pennies are actually losing pennies. FIDO Intl seems to win by 36 bps and VG US seems to win by 8 bps over 6 mo. I would argue that the results are inconclusive. If one method is better or worse, shouldn't there be a clear difference? I would also discard 1 mo , 3 mo, YTD (same as 3 mo right now) as not being very useful due to the short evaluation period. Nope - they are not. They are following different indexes so you are going to get different returns. You have found a time frame where one index has preformed differently than another - which is not that surprising. When you have very similar indexes you are going to get periods where one preforms better than the next just by chance. What you really need to do is figure out why one index preformed better than the other, and if those factors are going to be prescient in the future, and how efficient those funds are relative to the underlying index. Several of us suspected that this would happen. Look at the month by month results - VTSAX wins 3, Fidelity wins 3, and 1 tie. A mixed bag indeed. You will need many months of data to tease any signal out of that noise. edit: On the int'l side: FZILX wins 6 months and VTIAX wins 1. Both funds are the same as far as I concern... At Fidelity HSA I have the zero funds. At Vanguard brokerage and Roth IRA I have VTI and the likes. Does anybody know the securities lending rebating % Fidelity is using? I'm guessing that's a pretty big piece of this equation. Why would I base an investment decision on a comparison of 6 months of performance? Can we please but a ban on all threads about the performance and superiority/inferiority of Fidelity Zero funds until 2023? Trying to draw any such conclusion from such a limited data set is ridiculous and not actionable. Agree and disagree. Drawing conclusions is premature. However, investors considering the Zero funds based only upon the hype of "Woo-hoo! 0% ER!" may certainly benefit from the discussion--including the admonitions that the data are limited at this point. Lots of people jumped based on an announcement from Fidelity. Nothing more. Which I understand. I don't understand trying to draw a conclusion about long term performance in 6 months. They do not follow the same index. This is irrelevant data. Not exactly. They are different indexes. The FZROX for example has the largest 2500 stocks in the U.S. vs 3500 for the vanguard fund. FZROX has a slight large cap tilt. It is approximately 3/4 of the way between an S&P 500 index and a total market index. You will likely find over time that if large caps outperform, you will find FZROX ahead by a small amount, if you find small caps ahead you will find Vanguard slightly ahead. It is that simple. The differences you point out are way to short of a time frame to even compare if they were the same index especially since the fund hasn't been around even a full year. I find it strange how this forum's fundamental tenet is low cost index based investing, then loves to bash a company (and the individuals that chose to go with the ZERO funds) that actually does exactly what this forum is all about. FWIW I own no ZERO funds because I have S&P 500 index funds and no international. For all intents and purposes, the vast majority of people who will look to purchase this fund will not care that Fidelity chose to develop their own index to follow that is nearly identical to the total market index funds they will be compared to. This is a sleight-of-hand by Fidelity. They don't want to be compared directly to other low-cost index funds, so they develop their own index which allows any difference in performance to be attributed to that rather than to the fact that once you are at the cost threshold of say, 5 basis points or less, other factors start to become more important in determining the total return of the fund. Altogether these differences are too small to worry about one way or another, but it's important to pull back the curtain on what Fidelity is doing here to give investors wooed by the 'zero-cost' pitch a little insight into what they should really expect. The most important thing that one can learn from this discussion is which of the following is correct (I have provided some clues). It's barely a difference. Looking at the CRSP data, the stocks in position 2501 (Northwest Pipe) to 3608 (PHI Inc which recently filed for bankruptcy) make up 0.335% of the CRSP Total Stock Market index. NW Pipe's market cap is $250M, so we're looking at microcaps. I believe Ferri likes microcaps but 0.335% is not going to move the needle either way. I'm not sure I find this argument compelling. There are multiple indices, from multiple companies, and funds not only go with different providers but switch as Vanguard has done in the past. And note that Vanguard has a Large Cap Index fund that uses a CRSP index, not the S&P 500 index.This is not a bad thing, it certainly makes TLH easier when we can jump to a similar fund that tracks a different index. As I've mentioned before, index providers will create white label indices for you according to your specifications, and do the tracking. We know from SEC filings at FZROX is "calculated by S&P Dow Jones indices" so it's very likely that Fidelity hired Dow Jones S&P to create the index, partially to avoid having to pay the licensing fee for existing indices (which we know can be steep, at least according to Jack Bogle.) It would not surprise me if Fidelity also asked that the index have lower trading costs and perhaps that is why microcaps are absent in FZROX and international small caps are absent from the corresponding international fund FZILX; of course we cannot know that for sure. Yes, but FZROX is, in Fidelity's own words, a "Total Market Index Fund". They know people will compare this with other funds of the same name. They also have a zero-fee large cap fund, FNILX which tracks yet a different index. I'm sure that cost-savings were a consideration in which index they track, but they are absolutely aware that it helps obfuscate any difference in performance as well. ITOT (iShares Total Market) tracks the S&P Total Market Index, SCHB (Schwab Broad Market) tracks the Dow Jones U.S. Broad Stock Market Index, SPTM (SPDR Total Market) tracks the SSGA Total Stock Market Index, FSKAX (Fidelity Total Market) tracks the Dow Jones U.S. Total Stock Market Index (which is different than the Broad Stock Market index), etc. I don't believe everyone here is trying to obfuscate performance. Vanguard has changed the underlying index for VTSAX twice. I also think the differences between these funds are minimal and it's up to personal preference and situation. FNILX tracks a different index because it is a large cap fund, not a total market fund. It should track a different index. I honestly don't understand the obfuscation argument. If I go to Vanguard and look at the performance data for VTSAX, it compares it to a "spliced index" that takes into account the index changes that the fund has gone through over the years. So Vanguard is comparing the performance of their index fund to the specific index it tracks - which is exactly what Fidelity (and Schwab and iShares and State Street) are doing. What are you suggesting Fidelity do, because there doesn't seem to be a universal agreed-upon total stock market index? One benefit of this is it forced down prices and lowered minimums on admiral class for many funds at Vanguard. Both are wrong. 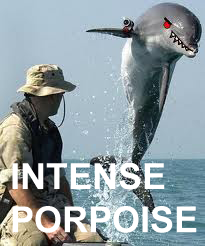 I take it for granite that they meant to say "for all intensive porpoises" . It seems to me the difference in all of those cases, other than SPDR (which was also changed to track an in-house index right as they introduced their ultra-low cost index funds), is that they are tracking a known, 3rd party index. For these zero-fee funds Fidelity has chosen to contract their own custom indices. Cost is certainly one issue. It's also surprisingly convenient for Fidelity that there will be no chance of another company tracking this same index. Again, in the end, none of this really matters because of exactly the details that we are discussing in this and other similar threads, but the lure of 'zero-fee' as a marketing slogan is strong - as witnessed by the parade of questions asked here by people considering choosing these funds over other low-fee alternatives. Question (and I hope this isn't too pithy) - so what? So what if Fidelity is the only company tracking a given total stock market index? VTSAX is the only fund tracking the CRSP Total Stock Market index. Perhaps that is contractual and perhaps it isn't, but does it actually matter for the retail investor? It is like debating which is better, the Toyota Corolla or the Honda Accord. Both are solid implementations of a 4 door sedan. For most people they are interchangeable. We are talking about variations of a domestic cap weighted free float index. The only real question is if you want 2k+ or 3k+ stocks in the index. And since it is cap weighted, we are talking about less than 3% of the index. So don't worry too much about it. We are kind of dealing with the mucky fine grain details. For example. Yes, lots of people compare the returns to figure out which index is better. It is a simple, intuitive method. Also, lots of people think that heavier objects fall faster than lighter objects. Also, simple and intuitive. Both represent poor methodology and theory. I don't understand trying to draw a conclusion about long term performance in 6 months. Heck, we got 50+ years of data on small / micro caps and still have a hard time drawing conclusions. Because that is what we are really debating here. What is the impact of adding a few hundred of the smallest stocks to the index. The general consensus is that you are going to need at least a 10 year time frame to figure out if adding these matters or not. And then the structures of the economy and stock market keep changing, so who knows what will happen for the next 10. Because that is what we are really debating here. What is the impact of adding a few hundred of the smallest stocks to the index. Once again, to the average retail investor it does not matter much. Hey! Thanks JS. I think I've been called out on that before - I'm an old dog and a slow learner, no doubt. In the very long run though, word usage can eventually trump correctness. I'm not going to pursue it now but there are good examples out there. Personally, my biggest annoyances are still things like the use of impact as a verb and various evolving pronunciations... like "stu-Dent"
But let's not hijack the thread. No, I don't think it matters for the investor. It just means that every time this topic comes up, there can be no resolution as someone will just bring up the fact they are following different indices. I think this is the key point here that nearly everybody on the thread is missing. Performance of funds following different indices is irrelevant. The question is whether Fidelity's zero fee model works. The apples to apples comparison of the S&P funds appears to vindicate their model. If you believe that Fidelity's index consistently underperforms, you should buy only the small caps that their index excludes. No - some people couldn't care less about the two indexes; they don't think one is any "better" than the other. Ultimately, whether you track 3500 stocks vs. 3499 stocks it approaches irrelevance and is overwhelmed by things like tracking error, securities lending and ER differences as small as 0.03%. At least in this admittedly extreme example there's a larger forest behind that pesky tree of one's choice of index. Yes, I understand that two extremely similar indexes can and will still vary over time. But when they are so similar that those variances are going to be extremely small, other non-index but Fund company/implementation related issues will become more important, i.e. will overwhelm any purely index-related differences. Will they show up in just 6 months? Maybe, maybe not, but they will not be static noise, they will be real and cumulative. I certainly need a lot more time before passing judgement, but I have my expectations. I think the differences are minimal. I think it will be a virtual tie after 10 years, with one or the other besting its rival by a minuscule factor. To me, the $0 minimum investment is a much bigger story than the ER dropping to zero. This is so nice. I'm just starting some taxable investing after filling up tax advantaged space. I opened a brokerage at Fidelity and a few times a month contribute extra cash to FZROX. It's just plain easy & it works. These funds are accessible to everyone, and as a boglehead they are a near bullseye per investment philosophy. Fidelity Zero funds are doing incredibly well. I don't understand the mindset of "Vanguard is always good. Other companies are all out to get your money." Vanguard post Bogle is already planning towards an increase in actively managed fund (including a commodities fund) and also trying its best to stay in the competition by lowering many of its funds' expense ratios on its ETF line because it understands it is behind in competition. Anyways, to the FZILX post, you should be comparing FZILX more towards VFWAX or FSGGX. And even then FZILX is a bit hazy in the comparison (since it is a different index at end of day). You should not be comparing VTIAX with FZILX. You compare VTIAX with FTIHX. TL;DR Looks fine to me. The Fidelity zero funds are great. Really great on tax advantaged accounts. No need to be skeptical of a great product. It's a good thing Fidelity has came with a zero expense ratio fund. Hopefully, capitalism pressures other firms to do the same. We might even see negative expense ratios over time with share lending returns. Who knows. We don't have a long enough history on the Fidelity ZERO funds to judge performance. Likewise the history is not long enough to conclude that the Fidelity ZERO funds' lower expense ratios by a few basis points will make any difference to the investor. It may well be that a few basis points difference in expense ratios will prove to be just noise, unimportant compared to differences in the indexes used or tracking error. We will have to wait and see. They are following different indexes so you are going to get different returns.